Today I faced one interesting issue. Since your question was actually why does this happen, you can check this or this. Seeing how this answer has been visited by more people than I expected, I'd like to explain a bit when disabling certificate validation could be useful. First, a bit of light background on how these certificates work. There's quite a lot of information in the links provided above, but here it goes, anyway. Broadly speaking, the idea is: Those Certificate Authorities (CA) give you a certificate that also contains the CA information in it. Your browsers have a list of well known CAs, so when your browser receives a certificate, it will do something like: "HmmmMMMmmm.... [the browser makes a supiciuous face here] ... I received a certificate, and it says it's verified by Symantec. Do I know that "Symantec" guy? [the browser then goes to its list of well known CAs and checks for Symantec] Oh, yeah! I do. Ok, the certificate is good! 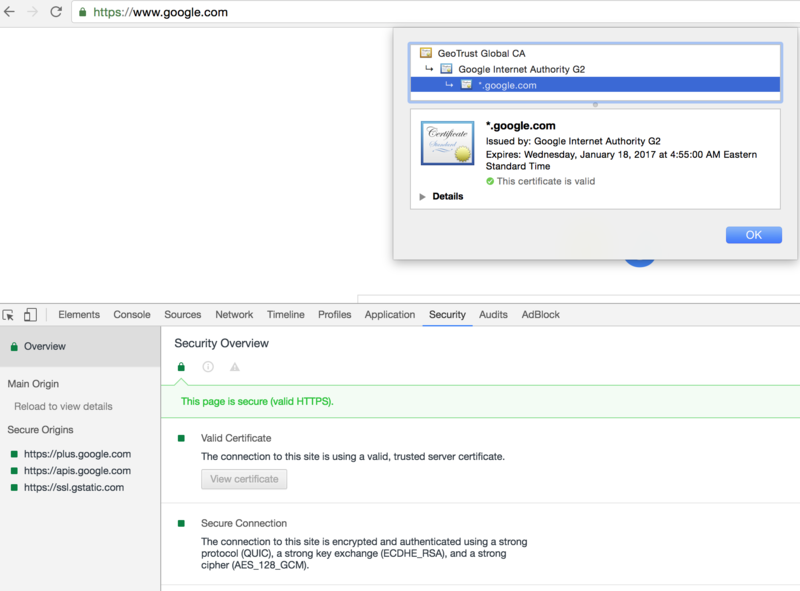 However, there are cases in which you just want to test the HTTPS, and you create your own Certificate Authority using a couple of command line tools and you use that "custom" CA to sign a "custom" certificate that you just generated as well, right? In that case, your browser (which, by the way, in the question is httplib2.Http) is not going to have your "custom" CA among the list of trusted CAs, so it's going to say that the certificate is invalid. The information is still going to travel encrypted, but what the browser is telling you is that it doesn't fully trust that is traveling encrypted to the place you are supposing it's going. Recent versions of httplib2 is defaulting to its own certificate store. # Default CA certificates file bundled with httplib2. Not the answer you're looking for? Browse other questions tagged python foursquare httplib2 or ask your own question.